Not to be confused with University of Guadalajara. The Universidad Autónoma de Guadalajara (Spanish: [uniβeɾsiˈðað auˈtonoma ðe ɣwaðalaˈxaɾa] ( listen), Autonomous University of Guadalajara), commonly abbreviated to UAG or Autónoma, is a coeducational, independent, private university based in the Mexican city of Guadalajara. Established in 1935, it was the first private university and medical school in Mexico. The university was the result of the struggle against the communist and socialist laws and influence in the higher education of Mexico. It was first conceived with the name Universidad del Occidente (University of the West), but would later be styled to Universidad Autónoma de Guadalajara (UAG). Established University in the Community (UNICO) was the first community college in Mexico. It also operates an elementary school, two middle schools, and three high schools and postgraduate studies. The university has become one of the most important educational institutions in Latin America, attracting students from 25 different countries. The Mexican Revolution (1910–1920) which had recently ended was assisted by agents of the Comintern organization (1919–1943) which had diplomatic relations with the Soviet Union (1922–1991), even though after the fall of the Soviet Union and the organization officially suspended, they had laid the foundation for Marxism-Leninism. They were looking to replace the free and secular education established in the Constitution of 1917 in Mexico, therefore seeking to make socialist education become obligatory in all levels of education in the country. Articles 3 and 24 of the Constitution enshrine respectively secular education and freedom of belief. Subsequent president General Álvaro Obregón Salido continued and the subsequent Maximato, preaching the class struggle, the abolition of private property and socialist education in official circles. José Vasconcelos Calderón (1882–1959) had insisted as Secretary of Education and dean of the Universidad Nacional supported by the most distinguished thinkers of the time, for a free and secular educational system, but his political defeat in 1929 was part of the removal of obstacles for the advancement of the anti-national thinking, communism and socialism. In that same year President Emilio Cándido Portes Gil (1928–1930) granted autonomy to the Universidad Nacional becoming Universidad Nacional Autonoma de Mexico under pressure from the National Confederation of Students and others. "The State must completely take over the children of workers and peasants, both economically and educationally..." that "the time has come, young students, for fully implementing socialism" (translated) - Garcia Tellez representing Lazaro Cardenas (president of Mexico). Students from various parts of the country, especially in the state of Jalisco, opposed totalitarianism, with its proponents of several walks of life being one of the most notable Antonio Caso which refuted arguments given by the proponents of socialism and communism, defended the principles of "academic freedom" as essential to academic life and the advancement of science and national leadership as stipulated in the Constitution of 1917. National newspapers published the event at the time on front pages; on September 15, 1933 with headlines "Will be? socialist orientation of the National University" (El Nacional), "Climate for Marxism at the University" (Excélsior), while the Universal in its editorial transcribed words if "The university should not be sectarian ... Lombardo's paper is directly contrary to the spirit and letter of Article 3. of the Constitution." The maximum leader of the revolution, Plutarco Elias Calles, warned that despite the fuss caused by state-controlled organizations in preparation for the implementation of Marxist teaching, the bulk of the civil society refused, saying it was just a bridge to the establishment of communism in Mexico, so he decided to personally intervene in one of the most critical areas of confrontation: Guadalajara, where the propellers of university autonomy and freedom of education had controlled the student federation. On July 20, 1934 he spoke to the people of Jalisco specifically on the reform of Article 3 of the Constitution, him being a former president, his message was known as the "Grito de Guadalajara", he appointed his own successor as president Lázaro Cárdenas del Río. After such serious allegations it reaffirmed the conviction of the libertarian side, yet accelerated the progress of the reform and the 23th Legislative Commission, headed by Alberto Bremauntz and Alberto Coria, delivered to congress his proposed constitutional amendment, by publishing in the press two days later. The reform of article 3 of the Constitution, during the last year of the presidency of General Abelardo Rodriguez, the issue of socialist education went from college to all social areas, since December 1933. Deputies and senators declare that the reform by the National Revolutionary Party (NRP) through the Institute of Economic Studies would begin in June, the NRP itself was preparing to develop intensive activities across the country to carry out the agreements of the Six Year Plan wherein the elementary and middle school education would be based on socialist doctrines. In its final version, was approved by the Senate on October 11, 1934. The strike in October 1933 in Jalisco collided with two conflicting tendencies: the imposition of socialist education by the official side and the autonomy and academic freedom from civil society. The crisis began when the director Enrique Diaz de Leon intended to apply at the University of Guadalajara the conclusions of the Mexican congress on the university, which he started alongside Vicente Lombardo Toledano and agreed to implement the compulsory Marxist education in all of the country, although the constitution stipulated it as secular. The students and civil society of Guadalajara reacted against the provisions and laws that established the Marxist education from primary to university, from the dean Enrique Diaz de Leon co-chaired with Vicente Lombardo Toledano Congress of the Mexican university opened national controversy on the theme, producing the phenomenon of young students who led the start of the protest. There was in Guadalajara many professors for the reform as Case, Azuela, Gomez Morin, Chico Goerne or Brito Frouchier willing to open the controversial high level socialist education as in the National University, but there was a heightened state of young leaders led by Carlos Cuesta Gallardo, Angel Leano Alvarez del Castillo and Antonio Leano Alvarez del Castillo who tried to prevent the application of Article 3 in the former University of Guadalajara. The striking students were aware that their rebellion did not face only the dean and his fans, but directly the Governor Sebastián Allende with his capacity for repression by the police and the army, the socialist leader Enrique Diaz de Leon did not inhibit them to extend the strike to all schools and start organizing rallies in squares and markets to inform the people the reasons for their attitude and their main demands which were academic freedom, instead of mandatory imposed socialist education, participation in the university council to co-govern college, university autonomy which removed the government of the universitys administration while still meeting the economic budget and the immediate dismissal of Enrique Diaz de Leon as dean because of being sectarian and corrupt. Two days after the strike began, soldiers from 34 Regiments, commanded by General Manuel Limón, evicted students from the university and sent them to jail, totaled at more than 250. Twenty-eight days into the strike congress passed a law proposed by the governor, that decreed the closure of the university which automatically lifted the strike. The formed strike committee turned into a Claiming Student Rights pro Committee and submitted to the government a list of requests which stated, a free university from political interference or religious; moral and political autonomy, appointment of competent teachers, student participation in government and a large social program to benefit the children of workers and peasants who enroll, while reorganizing all schools and universitys. Negotiations continued simultaneously with rallies of students and civil society that supported the release of the approximately 250 students arrested on October 25 and 26. Parents and peers had failed efforts locally and sent telegrams to the President Abelardo Rodriguez, who was also requested by the National Confederation of Students and sectors of the National University of Mexico, yet congress was not willing to lose the country's universities with grants similar to that granted to UNAM "autonomy". Having hostage 250 students in jails, the government agreed to reopen negotiations with the mediation University of the National Confederation of Students, reaching an agreements with just a hint of student proposals without imposing socialist education. On November 27 an agreement was signed, the release of prisoners was authorized. The opening of the University of Guadalajara on January 2, 1934 was announced. Reopened the University was appointed a new dean Dr. Manuel R. Alatorre and on February 26, 1934 the new Organic Law was signed on the basis of the agreements in November 1933. Student representation served with delegates from different schools and colleges. The strengthening student action was increasing the need of a final union into a body to replace the former Federation of University Students of Jalisco perished with the old university, having perished its alliance with the former president. That was how on March 15, 1934 the delegates elected by the various societies of students gathered, except for the highschools and elected a board of directors chaired by Carlos Cuesta Gallardo, Angel Leano Alvarez del Casillo, Antonio Leano Alvarez del Casillo, Antonio Perez, Daniel Salazar Hurtado, Joaquin Aceves, Porfirio Barba and Francisco Lopez Gonzalez in positions of greater responsibility. This choice was a determining factor in the sequence of university and political actions of the following months leading to the creation of the 'Autonomous University of the West', later called Guadalajara. The FEJ was not the only student group in the Republic rejecting socialism in education. The same happened with the university in the capital, Durango, San Luis Potosi, Tampico, Zacatecas, Monterrey, Puebla, Toluca etc., who were also fighting for the defense of their homes against the imposition of Marxist dogma, making this movement a national student conflict. The student unions publicly supported the parent's associations, labor and peasant organizations. In January 1935 the Student Federation of Jalisco (FEJ) returned to the fray with new opposition, the newly created West Front of Socialist Students (FESO) organized by Jose Guadalupe Zuno and Ignacio Jacobo to give back and to reopen the university, and to comply with the mandate to implement Marxist philosophy to all higher education. Everardo Topete had assumed the governorship of the state, in his government program he confirmed that the "university reorganization will respond to the spiritual movement in the country initiated the reform of article 3". On February 27, 1935 new demonstrators approached the Government Palace of Guadalajara to protest against the requests asked by the governor, but on arrival the Government Palace was full of troops under the command of the President of the Chamber of Deputies, identified as the "red shirts", which dispersed the demonstrators with clubs and gun fire. The Student Federation of Jalisco (FEJ) issued a statement the next day saying, "As the sole and authentic representative of the student class in Jalisco the FEJ strongly condemns the killing accomplished by politicians and policemen in the town, of the defenseless demonstrators which were unarmed, largely women, who orderly and peacefully marched through the streets of our city." In the following days the governor Topete accused the protesters of "fanatics" and "provocative" but moderated his attitude due to the messages of condemnation from around the country and abroad by the brutality with which he performed, including the presidency of the republic who became identified as an accomplice to the crime of the government. Governor Topete decided to accept and ordered the Secretary of Government, to draft a law reform with these conditions and asked: Do you accept to make a university without the government ever giving any assets or any subsidy...? which they answerd: We accept!. Nuñez building 28, was the first seat of the University, they started dividing the foundational tasks like renting houses for schools and colleges, set curricula, organizing the team of teachers and initiate enrollment, while incorporating studies of the National Autonomous University of Mexico (UNAM). The first dean of the Autonomous University of the West was the lawyer Agustin Navarro Flores, under whose leadership the first faculties were organized. On May 5, 1935 named Director of the School of Jurisprudence to Mr. Alberto G. Arce. ; On May 15 were designated as Director and Secretary of the School of Medicine medical doctors Adolfo Esteban Saucedo and Cave Brambila; Dr. Agustin Hernandez was the first Director of Dentistry; the engineer Luis Ugarte was of Engineering and Professor Maria Villanueva assumed the leadership of the High School. On April 21, 1956 the second dean of the UAG Dr. Fernando Banda, with the Lic. Manuel Calvillo, Director of Schools Incorporated, sent on behalf of Dr. Nabor Carrillo Flores, at that time Rector of the UNAM, the foundation stone of the University City, First Section, where there is now the Institute of Biological Sciences. From 1965 to 1973 the objectives of the first stage of the Master Plan were fully met. The Autonomous University City, whose construction had begun in 1968, was inaugurated on April 30, 1970, for the third dean Dr. Luis Garibay Gutierrez. In 1970 the Central Library building was completed, where technical processes are concentrated and simultaneously the School of Library. In 1972 the works of the Women's School educational complex were completed. Relations between the Autonomous University of Guadalajara and the federal and local governments were only difficult in its first decades. 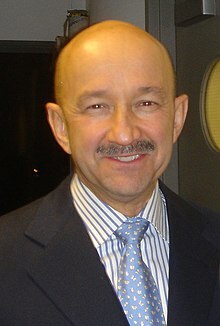 In 1991 due to the universitys 56 years of existence, Mexican President Carlos Salinas de Gortari instructed the Secretary of Education to issue the 158th Agreement that grants the university full academic independence and her ability to cast their own titles in all levels of education, which is in effect since July 26 of that year when published in the Official Gazette. The university sought and obtained support from other educational institutions in Mexico and in the international context, especially in Latin America and the United States. In the seventies and eighties, UAG expanded its network of cooperative agreements around the world, also playing a leading role in the founding and development of groups and international organizations such as the Latin American University Group for the Study and Improvement of Education (GULERPE) associations; Ajijic Center for the Improvement of Higher Education in America (CAMESA); the Instituo Ajijic on International Education (IASEI) and the Council. Inter University for Economic and Social Development (CUIDES). In 1987 the International Association of University Presidents (IAUP), elected as its President Dean of the Autonomous University of Guadalajara. UAG plays a leading role in the IAUP and in several international educational organizations. The school runs a program called "Strengthening Teachers", whose purpose is the academic aspects of the institution. This program includes the participation of professors and experts from other countries who, through short visits, participate in training programs at UAG. Teachers from UAG also provide the opportunity to participate in such programs, with sister universities in other countries. The Division of Continuing Education of the Autonomous University of Guadalajara is a specialized developmental training program. Founded in 1972 is the Training Center with diversity and a number of courses. It is divided into four institutes: INDHEX, INDTECNO, IDEA, ICASA. It has five centers for the development of the institutions: EMPRENDE, CEPEP, EDUMALL, educational mission, on the job training. It is the oldest private medical school in Mexico. The first class was taught on June 5, 1935, the same year of the school's birthdate, its first residency quarters were located on Tolsa Avenue (current Enrique Diaz de Leon Avenue) in Guadalajara, in an area donated by Ramón Garibay which later became the university's hospital; Later the hospital was named Hospital Ramón Garibay in honor of its patron. In 1963, the basic science courses of the Medical School were moved to Lomas del Valle campus that houses the Institute of Biological Sciences. The clinical courses were in the Hospital Ramon Garibay. Later, in 1974, the second university hospital opened; This hospital is named after one of the most prominent founders of the University, Dr. Angel Leano, it was designed with specific requirements for different types of learning, offering new facilities for students during their clinical semesters. Doctor Angel Leano university hospital and Ramón Garibay University Hospital began the internship program and specialty residencies since 1970 in pediatrics, gynecology, obstetrics, anesthesiology and pneumology. Medical School currently offers training in ophthalmology, neurosurgery, psychiatry, ENT, orthopedics and dermatology. There are master's programs in health services administration, morphological sciences, physiology and health. The UAG Faculty of Medicine has over 15,000 graduates practicing medicine in all 50 states of the U.S.A, in over 15 countries. The school has affiliation agreements and partnerships with a number of hospitals; in Mexico there are agreements with over 100 hospitals, and with other countries. Education program and community care started in 1955 as a project of multidisciplinary practices involving students and professors of medicine, architecture, dentistry, social work, psychology, nursing, law and chemistry for the purpose of helping poor communities. In 1973 it was formally established as the Medicine in the Community (PMC) program as part of a plan called Education in the Community, to support the actions of the Medical Brigade (WB) and the Mobile Hospital Disaster. In 1998 the Primary Care Mobile Unit (UMAP) was created which helped in the development of basic health within the concept of Medicine in the Community (PMC) program, the activities focused on community, education and welfare, allowing an adequate and varied exercise of medical education for the poor and sick. 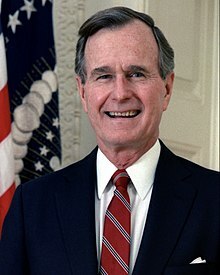 The president of the United States of America George H. W. Bush, in the person of Lic. Antonio Leano Alvarez del Castillo, gave an award in 1990 to the UAG, which had graduated 7,500 American doctors as of that year. The Medicine in the Community (PMC) program received a special national award from the President of Mexico, Vicente Fox and his wife, Martha Sahagún, for service in the community at the National Volunteer Awards 2002. Is approved for listing in the World Health Organization, World Directory of medical schools, United States Department of Education approval (title IV), recognized and approved by the government of Mexico to confer the degree of Physician Surgeon, accredited by the Mexican Council for the Accreditation of Medical Education (COMAEM) the U.S. Department of Education has determined that COMAEM's (Mexican Council for the Accreditation of Medical Education) is comparable to the LCME process, Mexican republic senate recognition, The Institute for International Medical Education (IIME), Mexican Federal Secretary of Public Education (SEP),National Committee on Foreign Medical Education and Accreditation (NCFMEA), Educational Commission for Foreign Medical Graduates (ECFMG), Consejo para la Acreditación de la Educación Superior (COPAES), Foundation for Advancement of International Medical Education and Research (FAIMER) and others. Francisco L. Alvarado, M.D., M.S. ; Assistant Director for the Illinois Department of Human Services' Division of Rehabilitation Services (DHS/DRS) State of Illinois. In 2010, Secretary of State Hillary Clinton awarded Dr. Alvarado the State Department's for the U.S. - Mexico Foundation's Mexican American Leadership Initiative (MALI)award, recognizing the importance of working together in the spirit of shared responsibility of critical issues facing Mexico and the U.S.The Foundation was formed in 2010 for the purpose of fostering constructive responses and partnerships between the societies of the U.S. and Mexico. In 1970 the School of Journalism was created and was later expanded to Communication Sciences. It began shortly to publish its own newspaper, Eight Columns, written and published by students. The emergence of other newspapers, existing academic and student publications and expansion of the school, led to the creation of the Center of Communication University (CECUN) in 1977. In 1978 Eight Columns became a daily public distribution that reached the state of Jalisco and had an average of 48,000 copies and 80 pages per day. The Nexus newspaper and the magazine Alma Mater, dedicated to university graduates and their families, and the academic publication Teaching, which is circulated in Latin America and is an instrument of international organizations such as GULERPE, CAMESA and IASEI, in the areas of health and news, are also published. The university press publishes several dozen titles a year intended for educational, cultural or research purposes, with internal circulation. University in the Community (UNICO) is an institution of higher education that is part of the Autonomous University of Guadalajara since 1992, inspired by the community colleges in the United States. The key features of UNICO are short courses that correspond according to the regulatory legal framework of the Secretaria de Educacion Publica (SEP). Graduates who satisfactorily meet the established academic requirements obtain a Certificate of Study and a Title issued by the Autonomous University of Guadalajara, and a Professional Certificate issued by Secretaria de Educacion Publica (SEP) with official recognition and coverage for exercise throughout the country. UNICO has four campuses, two in the metropolitan area of Guadalajara, the third in the city of Villahermosa, Tabasco and the fourth in the city of Tecoman, Colima. UNICO has established institutional agreements of academic and student order, with various community colleges of Canada and the United States. Tecos F.C. and other athletic programs play their home games at the Estadio Tres de Marzo which is located in Zapopan, Jalisco. It has a capacity of 30,015. The steel stands were prefabricated and had a capacity of around 3,000 people. By virtue of UAG ascending to the second level of Mexican football in 1973 and according to a ruling from the Federación Mexicana de Fútbol Asociación, new concrete stands were constructed on the sides of the pitch. This brought the stadium capacity to 15,000 people, the minimum forum for a second division stadium. In 1975, after the Tecos de la UAG ascended to the Primera División de Mexico, the stands were once again remodeled in order to meet the minimum demands of the division which was 25,000 people. The stadium once again went through renovation in order to accommodate the 1986 World Cup which brought the capacity to 30,015 people after new standing room areas were created. In 1999, Estadio Tres de Marzo underwent its last major renovation which included improvements such as a new pitch and drainage system. The stadium earned its name from the founding date of the Universidad Autónoma de Guadalajara, on March 3, 1935. The school's professional soccer team is named Tecos after the university symbol, the Tecolote, which is a word for "owl" in Spanish, and which is derived from the Nahuatl word for owl, tecolotl. The team plays in Estadio Tres de Marzo. The university was founded in 1935 and soon had a team to play amateur soccer until 1971 when they joined Federacion Mexicana de Futbol. They gained promotion to Liga de Ascenso in their second season after beating La Piedad 4–0 under the management of Guillermo Sepulveda. Two years later, in the 1974–1975 season, they were promoted to Primera División Mexicana by beating Irapuato in a promotion game under the management of Everardo Villaseñor. Previously named Club de Fútbol U.A.G., Estudiantes have won the national championship once and are the only team in Mexican football history to ascend from the two lower divisions and get the championship. In 2009, the name of the UAG soccer team changed to Estudiantes. Bad Medicine is a 1985 comedy film starring Steve Guttenberg, Alan Arkin, and Julie Hagerty. The film was written and directed by Harvey Miller, and was based on the novel Calling Dr. Horowitz, by Steven Horowitz, MD and Neil Offen. It is popularly believed the school it mentions is UAG. In Chicago Med, the character Dr. Connor Rhodes is a trauma surgery fellow. His past is somewhat murky, and he spent some time in Riyadh following his residency. In an episode it is revealed that he studied at UAG. Concussion is a 2015 American biographical sports thriller/medical drama film directed and written by Peter Landesman, based on the 2009 GQ exposé "Game Brain" by Jeanne Marie Laskas. It stars Will Smith as Dr. Bennet Omalu, the forensic pathologist who fought against efforts by the National Football League to suppress his research on the brain damage suffered by professional football players. In a scene it is revealed that the head of the NFL chairman of the NFL's Mild Traumatic Committee graduated from UAG. Two and a Half Men is an American television sitcom that began broadcasting on CBS on September 22, 2003, and ended on February 19, 2015 after twelve seasons. The character Alan Harper went to California State University at Long Beach, but failed to get into medical school. He studied chiropractic in Guadalajara with almost no Spanish language skills. It is popularly believed the school mentioned therein is UAG. ^ "UAG celebra su 80 aniversario con velada luctuosa - Grupo Milenio". milenio.com. Retrieved 6 March 2017. ^ Viveros, J.C.; Partida, R. (2004). La Industria Maquiladora Mexicana. Aprendizaje Tecnológico, Impacto Regional y Entornos Institucionales:. El Colegio de la Frontera Norte. p. 211. ISBN 9789687947280. Retrieved 6 March 2017. ^ "UAG Medical School - Universidad Autonoma de Guadalajara". uag.edu. Archived from the original on 14 March 2011. Retrieved 6 March 2017. ^ "psn/uag_ing". uag.mx. Archived from the original on 9 April 2009. Retrieved 6 March 2017. ^ "Nexo Universitario". uag.mx. Archived from the original on 18 July 2009. Retrieved 6 March 2017. ^ "Quiénes Somos - Universidad Autónoma de Guadalajara". uag.mx. Retrieved 6 March 2017. ^ "Central Washington University - Study Abroad & Exchange Programs". websolutions.clt.cwu.edu. Archived from the original on 9 September 2006. Retrieved 6 March 2017. ^ "Universidad Autónoma de Guadalajara (UAG) - Undergraduate - Top Universities". topuniversities.com. Retrieved 6 March 2017. ^ "Google Translate". translate.google.com. Retrieved 6 March 2017. ^ "www.1070noticias.com.mx/cumple-80-anos-la-universidad-autonoma-de-guadalajara/". 1070noticias.com.mx. Retrieved 6 March 2017. ^ Acciones de transformacioń de las universidades públicas mexicanas, 1994-2003. Asociación Nacional de Universidades e Instituciones de Educacioń Superior. 2005. p. 23. ISBN 9789707040786. Retrieved 6 March 2017. ^ Asociación Nacional de Universidades e Instituciones de Educación Superior (2006). Consolidación y avance de la educación superior en México: elementos de diagnóstico y propuestas. ANUIES. p. 269. ISBN 9789707040991. Retrieved 6 March 2017. ^ a b "UAG Medical School - Universidad Autonoma de Guadalajara". uag.edu. Retrieved 6 March 2017. ^ "Ubicación de los Campus de la Universidad Autónoma de Guadalajara". uag.mx. Retrieved 6 March 2017. ^ "Historia - Universidad Autónoma de Guadalajara". mediosuag.mx. Retrieved 6 March 2017. ^ "The Mexican Revolution - History Today". historytoday.com. Retrieved 6 March 2017. ^ "The Mexican Revolution: November 20th, 1910 - EDSITEment". edsitement.neh.gov. Retrieved 6 March 2017. ^ "The Mexican Revolution 1910 : Mexico History". mexconnect.com. Retrieved 6 March 2017. ^ "Mexican Revolution - Facts & Summary - HISTORY.com". history.com. Retrieved 6 March 2017. ^ "encyclopedia/history/comintern". infoplease.com. Retrieved 6 March 2017. ^ "Third International - association of political parties - Britannica.com". britannica.com. Retrieved 6 March 2017. ^ "Comintern". spartacus-educational.com. Retrieved 6 March 2017. ^ "Milestones: 1989–1992 - Office of the Historian". history.state.gov. Retrieved 6 March 2017. ^ "The Cold War for Kids: Collapse of the Soviet Union". ducksters.com. Retrieved 6 March 2017. ^ "The dissolution of the Soviet Union". ft.com. Retrieved 6 March 2017. ^ "Marxism-Leninism – Russiapedia Of Russian origin". russiapedia.rt.com. Retrieved 6 March 2017. ^ "Client Validation". zedillo.presidencia.gob.mx. Retrieved 6 March 2017. ^ "Biography of Alvaro Obregón Salido". latinamericanhistory.about.com. Retrieved 6 March 2017. ^ "Jose Vasconcelos - Mexican educator - Britannica.com". britannica.com. Retrieved 6 March 2017. ^ "José Vasconcelos Calderón 1882-1959". filosofia.org. Retrieved 6 March 2017. ^ "Universidad Nacional Autónoma de México (UNAM) - Undergraduate - Top Universities". topuniversities.com. Retrieved 6 March 2017. ^ a b "Campus Digital". campusdigital.uag.mx. Retrieved 6 March 2017. ^ Payne, S.G. (1995). A History of Fascism, 1914-1945. UCL Press. ISBN 9781857285956. Retrieved 6 March 2017. ^ a b "Biography of Rodriguez, Abelardo L. - Archontology.org". archontology.org. Retrieved 6 March 2017. ^ a b c "Abelardo L. Rodriguez". buscador.com.mx. Retrieved 6 March 2017. ^ "Lázaro Cárdenas Biography - life, family, name, school, young, son, old, information, born, time". notablebiographies.com. Retrieved 6 March 2017. ^ "Lazaro Cardenas - president of Mexico - Britannica.com". britannica.com. Retrieved 6 March 2017. ^ buscabiografias. "Biografía de Abelardo L. Rodríguez - quién es, obras, información, resumen, vida, tarea, historia". buscabiografias.com. Retrieved 6 March 2017. ^ "Campus Digital". campusdigital.uag.mx. Retrieved 6 March 2017. ^ a b c "varios/lafej". campusdigital.uag.mx. Retrieved 6 March 2017. ^ a b c "Campus Digital". campusdigital.uag.mx. Retrieved 6 March 2017. ^ "Medical Curriculum for UAG". iamse.org. Retrieved 6 March 2017. ^ "WHO - World Directory of Medical Schools". who.int. Retrieved 6 March 2017. ^ "World Directory of Medical Schools Search". search.wdoms.org. Retrieved 6 March 2017. ^ "COMAEM". comaem.org.mx. Retrieved 6 March 2017. ^ "Caduceus". facstaff.cbu.edu. Retrieved 6 March 2017. ^ "iime.org - iime Resources and Information". iime.org. Retrieved 6 March 2017. ^ "www.consultasrodac.sep.gob.mx/Tablero/Resultados_Entidades.aspx?id=15". consultasrodac.sep.gob.mx. Retrieved 6 March 2017. ^ a b "www.cheainternational.org/intdb/display1.asp?ID=c99". cheainternational.org. Retrieved 6 March 2017. ^ "www.ses.sep.gob.mx/instituciones-de-educacion-superior". ses.sep.gob.mx. Retrieved 6 March 2017. ^ "Búsqueda avanzada". cedulaprofesional.sep.gob.mx. Retrieved 6 March 2017. ^ "Path to Licensure - Medical School". uag.edu. Retrieved 6 March 2017. ^ "FAIMER - About Us". faimer.org. Retrieved 6 March 2017. ^ "FAIMER - World Directory of Medical Schools". imed.faimer.org. Retrieved 6 March 2017. ^ "Durell Peaden Obituary - Crestview, FL - Northwest Florida Daily News". legacy.com. Retrieved 6 March 2017. ^ "Matthew Reid, MD profile - PennMedicine.org". pennmedicine.org. Retrieved 6 March 2017. ^ "CD Estudiantes Tecos: Estadio Tres de Marzo". Soccerway. Global Sports Media. Retrieved 10 October 2011. ^ "World Cup 1986 in Mexico - World Cup Brazil 2014 Guide". worldcupbrazil.net. Retrieved 6 March 2017. ^ "Las sedes del Mundial 1999". espndeportes.espn.go.com. Retrieved 6 March 2017. ^ "Estadio 3 de Marzo – StadiumDB.com". stadiumdb.com. Retrieved 6 March 2017. ^ "Estudiantes Tecos News - Goal.com". goal.com. Retrieved 6 March 2017. ^ "Mexico - CD Estudiantes Tecos - Results, fixtures, squad, statistics, photos, videos and news - Soccerway". us.soccerway.com. Retrieved 6 March 2017. ^ Vlada Gelman. ""Chicago Med" Series Premiere Recap — Grade the Episode! - TVLine". tvline.com. Retrieved 6 March 2017. This page was last edited on 7 April 2019, at 14:33 (UTC).